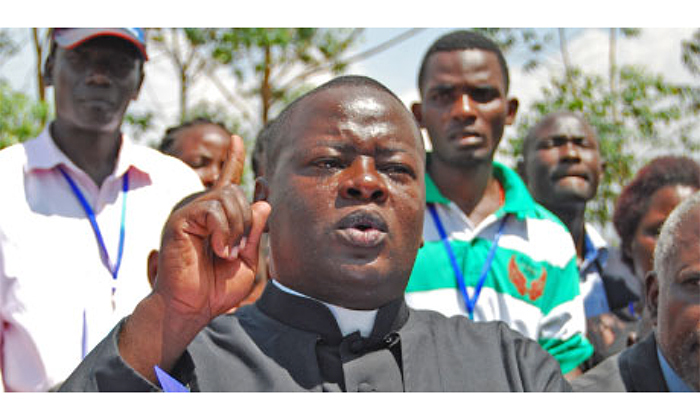 KAMPALA – The embattled evangelical Orthodox Church’s Bishop Jacinto Kibuuka has petitioned the High Court seeking to reinstate his application challenging an out-of-court agreement between him and the catholic lawyers. In his petition filed in court, Bishop Kibuuka says that he had justified the cause for not appearing in court when his case had come up for hearing. “I am very interested in prosecuting the dismissed application. It is in the interest of justice that the dismissed application be reinstated and heard on its merits,” Bishop Kibuuka stated in his application. The respondents in this case are the Uganda Catholic lawyer’s society, Hon Joseph Sewungu and Masaka district LCV Chairman Jude Mbabali. In the main case, Bishop Kibuuka stated that the then private criminal proceedings instituted against his church at Buganda Road Court were an infringement on his right to practice religion. Also in his main petition, Bishop Kibuuka was seeking a declaration of court that the utterances and conduct of Catholic lawyers, MP Sewungu and Mr Mbabaali against his religious practices and beliefs infringed on his freedom of worship enshrined in the Constitution. However last week Justice Musa Ssekaana dismissed Bishop Kibuuka’s application with no costs for want of prosecution under Order 9 Rule 22 of the Civil Procedure Rules. Although both parties had agreed on some issues in order to drop the case, Bishop Kibuuka through his lawyers of Wameli and Company Advocates disowned an out-of-court agreement on account that it was signed by a junior lawyer. They claimed that their counterparts from the opposite side representing the Uganda Catholic Lawyers Society (Ssemwanga, Muwazi & Co Advocates) departed from the original consent and instead duped a junior lawyer, Mr Richard Wananda, to sign the agreement. They say the Catholic Church lawyers took advantage of Mr Wananda, who had gone to court to present a different consent agreement to Justice Margaret Oguli-Oumo in another case, and duped him into signing. Wameli and Company Advocates subsequently petitioned the judge to reverse the purported consent agreement. “In the result my lord, a consent withdrawal that was never agreed upon between the parties was signed by the said lawyers and endorsed by you. My lord, I have instructions from my client (Bishop Kibuuka) to seek your indulgence so that you recall this withdraw, revise it by setting it aside so that the parties either sign an agreeable consent withdraw or the matter be fixed for hearing,” Bishop Kibuuka’s lawyers state. Mr Anthony Wameli, Bishop Kibuuka’s lawyer, says in the original consent, they did not agree on the ground that Bishop Kibuuka desists from mimicking the Catholic Church, which ground was later smuggled into the second consent which they say was a misrepresentation. Mr Wameli argued that if this ground is to be allowed, it would mean that his client Bishop Kibuuka cannot hold any mass that resembles that of the Catholics and he cannot wear the cassock that also resembles that of Catholics. This, he says, if left unchecked, would see his client arrested for going against the consent agreement.